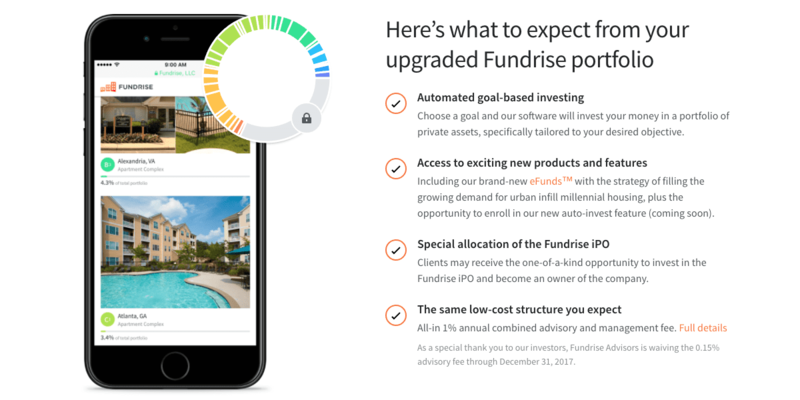 Fundrise has recently rebranded in June 2017 as more than just a real estate crowdfunding platform - they have created a totally new marketplace for private real estate investing similar to a mutual fund. This gives consumers unprecedented access to the commercial real estate market that was previously only available to institutional investors such as university endowments and state pension funds. Since opening its doors in 2012, Fundrise raised over $170 million in capital from accredited and nonaccredited investors including individuals, institutions, and family offices as of November 2016. The platform launched its first deal in 2012 and by mid-2015 has facilitated over 70 transactions with an average deal size of $1 million. 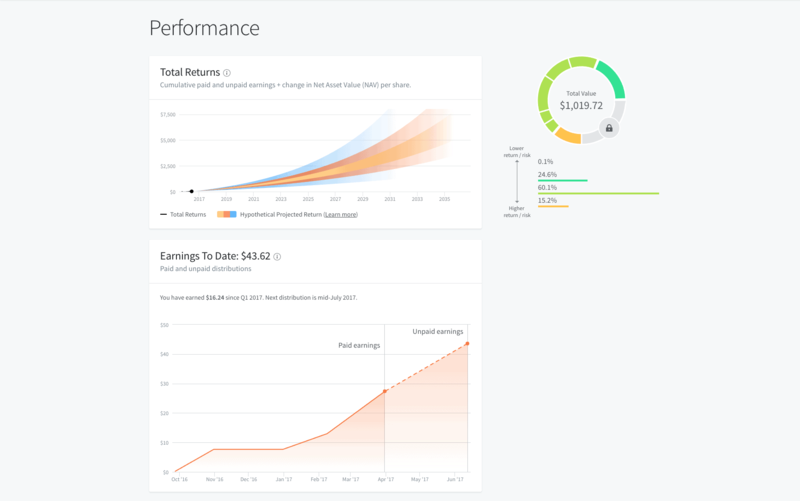 The average investment on the platform has been about $12,000 with annual returns north of 10%; you can keep track of their returns on their Historic Performance page. You can learn more about Fundrise's new offerings by requesting access to their platform here. The eDirect funds (eREITs and eFunds) pay a 0.85% annual asset management fee. In addition, clients of the investment services and management system pay a 0.15% annual investment advisory fee. Pre-funds all deals with their own capital – this is huge! Fundrise is headquartered in Washington, D.C. and the platform allows individuals to invest as little as $500 in real estate development projects. The average investment on Fundrise is less than $10,000 compared to $60,000 on Realty Mogul, another major crowdfunding site. The inspiration for founders (and brothers) Ben and Dan Miller was to open up real estate investing to ordinary people and to give them a chance to own a piece of property in their communities. Their thinking was that locals would have knowledge of the area and a personal stake in the success of projects. Fundrise launched its first project in Washington, D.C. and all subsequent projects are located in the United States. The platform targets urban infill, construction, rehab and development projects in the top 25 metropolitan markets. The company’s average deals are for assets valued under $50 million and Fundrise generally invests directly up to $5 million. For larger deals, such as recent ones in 2015 for commercial properties in Brooklyn and Atlanta valued at $10.5 million and $15.5 million, half to two-thirds is sold to institutions. Perusing deals on the site turns up single and multi family homes, mixed use properties, condominiums, industrial and retail developments. In the early days many of these properties were located on the East Coast but they’ve since expanded to the West Coast and the Heartland in locations such as Arizona, Chicago, Dallas, Denver, Los Angeles and Seattle. The projects are typically located in emerging areas of major markets. Fundrise says its companies have developed 1.24 billion square feet of property or 1.8 times the size of Manhattan. You can view Fundrise's list of current deals by requesting access to their platform here. To make things even easier, Fundrise provides a handy calculator tool that helps you select the right strategy - just answer a few questions and it’ll spit out the suggestion that best fits your unique situation. 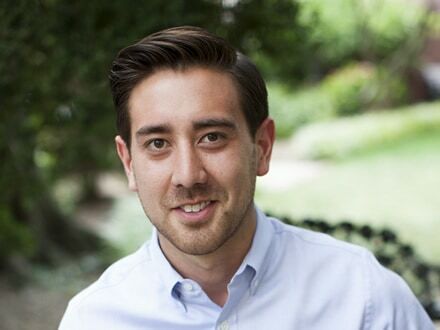 Fundrise’s typical investor clients are in their mid-30s to 40s and invest about $15,000 each. As of late-2016 the site is only open to U.S. residents though international investors have the ability to invest in U.S. properties by contacting Fundrise directly. The minimum investment is $500 which is an advantage for those with less to invest or waiting to proceed cautiously. Fundrise’s leadership team gets high marks from industry insiders. The founding brothers, Benjamin and Daniel Miller, are sons of noted Washington D.C. real estate developer Herb Miller. 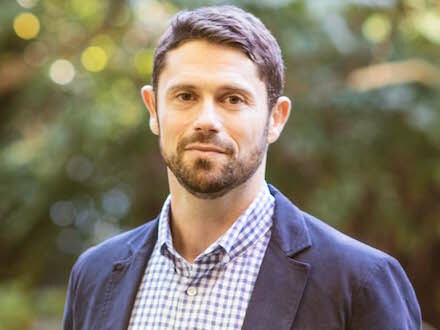 Benjamin Miller, who acts as CEO, has 15 years of experience in real estate and finance. He worked on $500 million of property as a managing partner of WestMill Capital Partners. Brandon Jenkins, Chief Operating Officer - Brandon helps to run the design and tech teams to ensure the Fundrise software platform is running smoothly. 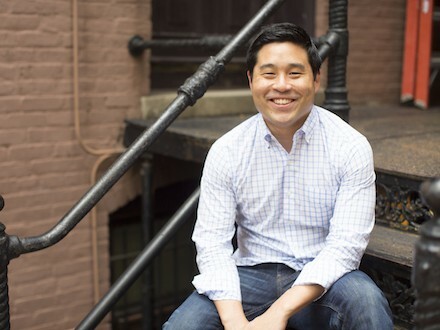 He was previously an investment advisor and broker for Marcus & Millichap, the largest real estate investment brokerage firm in the U.S.
Kenny Shin, Chief Technical Officer - Kenny has been the CTO since Janary 2011 and has previously consulted for Fortune 500 companies in the finance and technology space, including Fannie Mae, Oracle, Department of Defense and NATO. 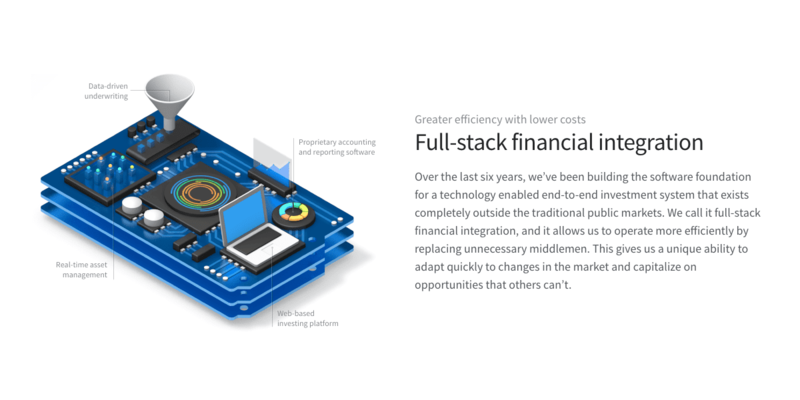 Fundrise charges a 0.15% annual investment advisor fee which covers their expenses for managing the portfolios through their online platform, as well as providing ongoing reporting, automated distributions, composite tax management, investor relations, and asset rebalancing. There’s also an asset management fee of 0.85% annually which includes the operational oversight of the real estate properties, which includes construction/repair, financing, zoning, accounting, sales, and marketing. Unlike hedge funds, Fundrise does NOT take a share of the upside in the form of carried interest or stock options, allowing them to pass on higher returns to you. Unlike other real estate crowdfunding platforms where you should still look into each individual property to perform due diligence, Fundrise makes things much easier by offering a diversified mix of in three simple portfolio options. Their new product offerings reduce risk and enhance returns while making it much easier to invest in commercial real estate. Check them out today to see if they might be a solid addition to your overall investing portfolio. The information contained herein neither constitutes an offer for nor a solicitation of interest in any securities offering; however, if an indication of interest is provided, it may be withdrawn or revoked, without obligation or commitment of any kind prior to being accepted following the qualification or effectiveness of the applicable offering document, and any offer, solicitation or sale of any securities will be made only by means of an offering circular, private placement memorandum, or prospectus. No money or other consideration is hereby being solicited, and will not be accepted without such potential investor having been provided the applicable offering document. Joining the Fundrise Platform neither constitutes an indication of interest in any offering nor involves any obligation or commitment of any kind. Invest in commercial real estate via crowdsourced investments. Gain access to real estate deals without the high dollar commitment typically needed, by diversifying acquisitions through a REIT (real estate investment trust). Well, investing in a single property is definitely different than investing in a fund of properties. After the eREIT got past 10 properties, I pretty much stopped paying close attention when they tell me about new acquisitions. I like that the eREIT has a lot more commercial properties, which can be expensive and tend to have higher minimum investments when done individually (often $25k minimum for a single deal). I give up control in exchange for diversification. For residential properties, I think individual properties offer you at least the illusion of control in picking a good situation. 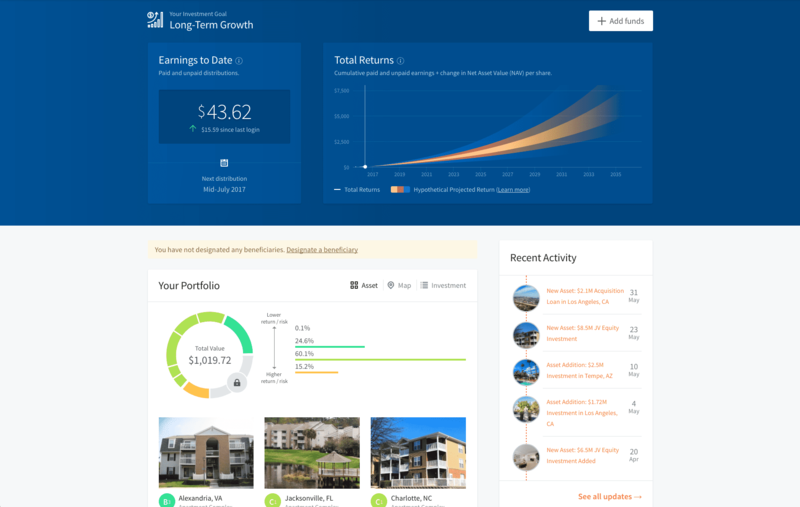 REITs and property crowdfunding platforms have made it extremely easy for the average investor to include real estate investments in his or her portfolio. 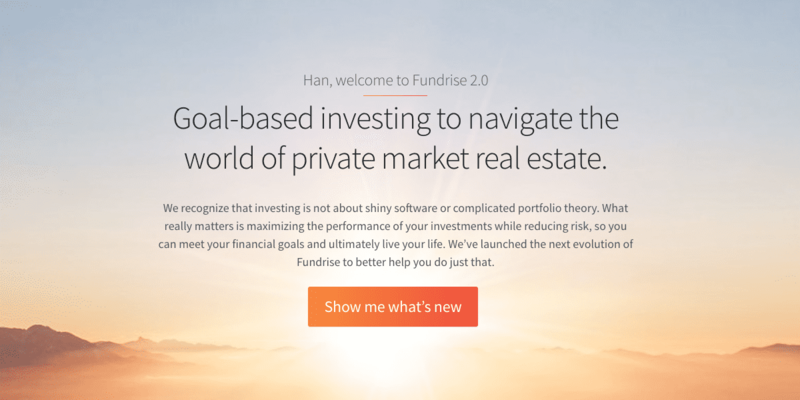 Just this month, Fundrise, a crowdfunding website, launched the world’s first Internet REIT. Like traditional REITs, Fundrise’s eREIT will give its unitholders the opportunity to benefit from income-producing property. While eREits are similar to traditional REITs in that respect, there are a number of differences between the two. For instance, shares in Fundrise’s eREIT can only be redeemed at the end of each quarter, and as such may not be a suitable investment for many retail investors. Additionally, the eREIT might be tax-inefficient for young investors who could benefit much more by realizing capital gains rather than investment income. Conservatives investors should also note that Fundrise is a new player in the REIT business, and as such may be riskier than other REITs because of its unproven track record. Fundrise is an investment service that allows you to invest directly into commercial real estate. They've achieved this by creating a B2C marketplace that lists commercial real estate properties for individual investors to choose from. Their goal is to "make the process of investing in the highest quality commercial real estate from around the country simple, efficient, and transparent." 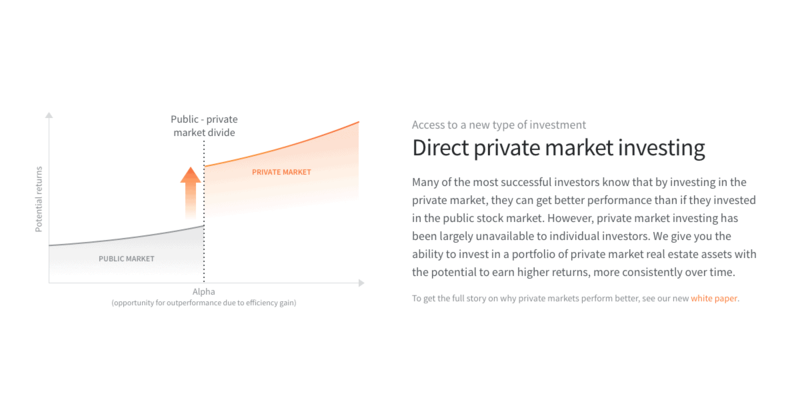 Essentially, they bridge the gap between the investor and the developer. Since Fundrise crowd funds capital ahead of acquiring an asset they are able to move quickly providing a large amount of cash to invest in a short time window. This allows them to focus entirely on senior debt and ownership positions that dramatically reduce the investments' risk.